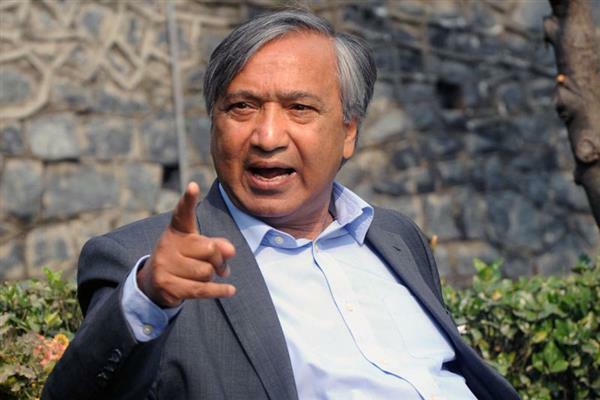 Srinagar, Nov 08 (KNS): CPI (M) senior leader and MLA Kulgam, Muhammad Yousuf Tarigami on Thursday said that Governor Satya Pal Malik’s statement that corruption and nepotism were at their peak in Jammu and Kashmir is beyond any doubt. If one goes by the statement of the Governor, this is only the tip of the ice berg. Such exposures by state administrative chief would have been sufficient enough for many big heads to roll. Tarigami said that the successive regimes in the state have weakened the institutions like Assembly, where discussions and debates on these issues would have been happening. “CPI (M) has been continuously arguing that the fountainhead of corruption is big business houses and neo-liberal policies. Increasingly the political system is getting pervaded by big capital. It is the illegal money generated by big business houses and the corporate which has corrupted the political system. Corruption is rooted in the neo-liberal economic order and the political system is subverted by corrupt means to obey the dictates of capital,” Tarigami said. CPI(M) leader said that as in the Rafale deal the BJP Government has caused insurmountable loss of taxpayers' money by signing the deal worth Rs 58,000 crores. Anil Ambani-led Reliance Defence Limited had been unfairly picked to be the French firm's Indian partner and the cost of each aircraft was raised three times more than what had been negotiated with France in 2012 to give benefit to Ambanis. The arbitrary action against the former director of CBI is alleged to be outcome of such deals.